One of those must haves on the table for the Holiday. 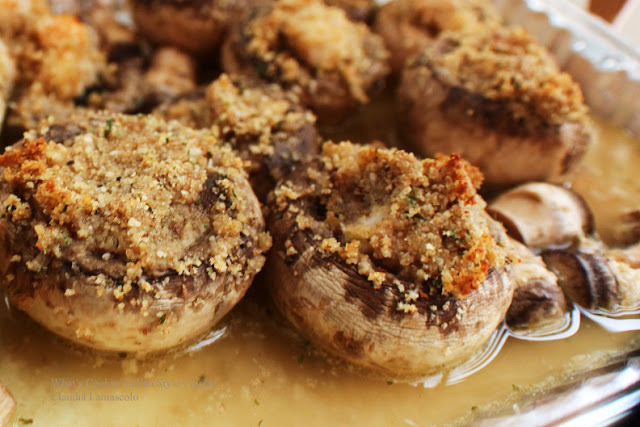 Stuffed mushrooms are one most asked for in our family. This is mom's recipe. I promise you, they won't last long so make a double batch! 12 to 14 extra large white mushrooms cleaned and stems removed or 22 medium sized. 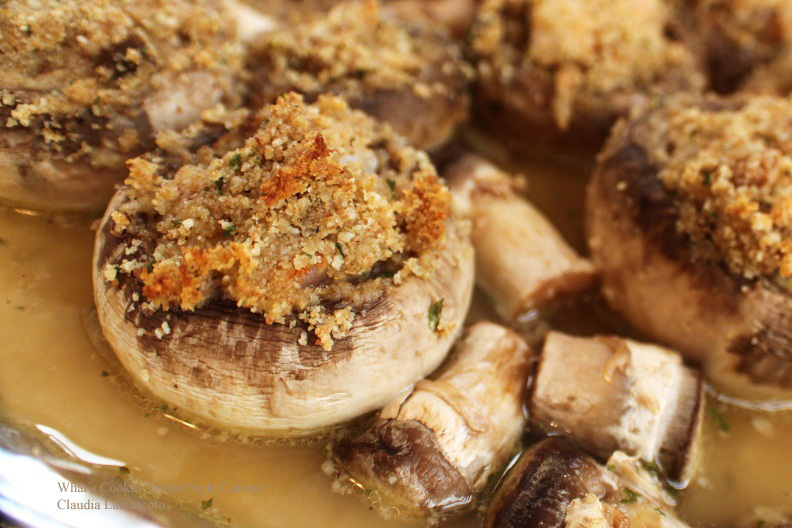 Clean mushrooms remove stems, place them in a baking dish lightly sprayed with cooking oil. Finely chop three of four mushroom stems place in a bowl adding the grated cheese, bread crumbs, parsley, garlic, salt and peppers. Add 1/3 cup olive oil. Mix together. Stuff mushrooms caps. Drizzle olive oil over the tops. Pour wine around the bottom of mushroom cap and bake on 350 degree hot oven, until browned and crisp on top. Around 30 minutes. Options: add 6 chopped shrimps into the bread crumbs or 1/2 cup loose fried and drained sausage added to the stuffing.. Top with shredded mozzarella and bake until cheese melts. Great with pepperoni and sauce also. I love mushrooms and these look amazing! Simple and delicious! !